Army’s Sushil Ghalay pipped Olympic bronze medallist Gagan Narang by 1.5 points for the top place in the Men’s 50m Rifle Prone (3rd Trial) at the ongoing selection trials in New Delhi. 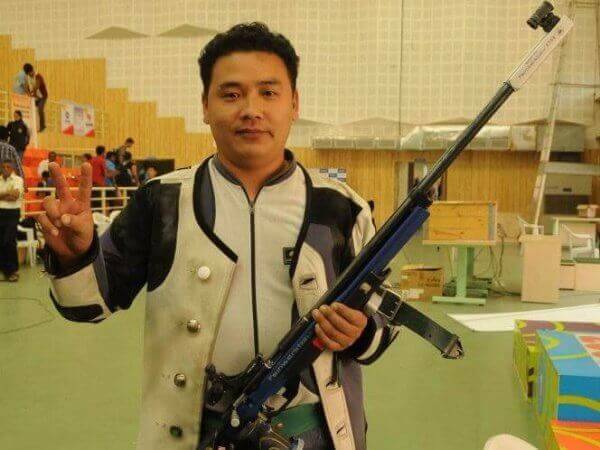 Ghalay, the current National Champion had also won gold at the Kumar Surendra Singh Memorial Shooting Championship at the same venue, last week. Qualification topper Navdeep Singh Rathore (623.6) was placed eighth, while Pankaj Desai came third at the Dr. Karni Singh Shooting Range. Olympians Sanjeev Rajput (614.9) and Chain Singh (614.6) were placed 12th and 14th respectively. In the Women’s 10m Air Rifle (3rd Trial), Olympian Apurvi Chandela beat Meghana Sajjanar by 1.3 points for the top place. Pooja Ghatkar who had won the bronze in season’s inaugural ISSF World Cup in New Delhi, pipped qualification topper Anjum Moudgil (418.2) by 0.4 points for the third place. In Men’s 25m Standard Pistol (3rd Trial), World junior champion Anish Bhanwala was placed 1st with a score of 574. Neeraj Kumar came 2nd while Olympian Gurpreet Singh was 3rd. Men’s 50m Rifle Prone (3 Trial): 1. Sushil Ghalay 250.4 (622.6); 2. Gagan Narang 248.9 (621.9); 3. Pankaj Desai 226.6 (616.7). Men’s 25m Standard Pistol (3rd Trial): 1. Anish Bhanwala 574; 2. Neeraj Kumar 572; 3. Gurpreet Singh 571.